Don’t miss Beeston’s first High Road Hustle! Save a space in your diary for the 27th May and come down to Beeston’s premier High Road Hustle on Chilwell Road for an eclectic mix of delicious street food and live music. You’ll be met with a wide range of delectables, such as the Eastern flavours of Deckard’s boas, as well as the wonderful Yim Thai stall, and authentic Korean cuisine from A Taste of Korea. The Chef’s Cottage are equipping their stall with their menu’s unique fusion of Caribbean and Thai dishes. Dubbing Good Food will be there to provide high-flavour healthy meals, including veggie and vegan options, and Pick’s Organic Farm will be showing off their farm-fresh local produce. Cakes and pastries will be offered by Mumma G’s Bakery, and The Nice Lolly Company’s funky home-made ice-lollies can satiate your sweet tooth. This is clear by the amount of bars and restaurants that are getting involved with the festival, such as The Berliner, Totally Tapped, The Frustrated Chef, The Bar, Milano Express, The Hop Pole and The Chequers, all of which will be hosting their own entertainment during the festivities. From 3pm to 10pm The Berliner will be presenting live music of multiple genres, from the acoustic music of George Gadd, to The Ramshackle Boys’ rock covers, all tastes are catered for. More information about their entertainments can be found on their Facebook page. What’s more is that The Berliner have teamed up with Southern Comfort and Deckards to give away a free day at the High Road Hustle. 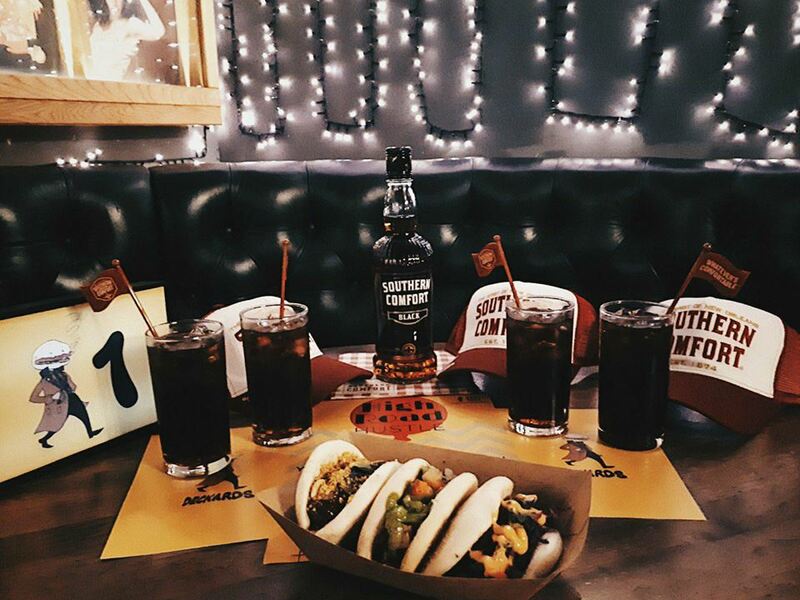 With four Southern Comfort cocktails and some free SoCo merchandise, as well as four mouth-watering baos from Deckards up for grabs. You only have to share the competition on The High Road Hustle’s Facebook page to have a chance of winning. The winner will be picked on Thursday 24th May, so get sharing! The food stalls are setting up for 12pm and will be going through to around 9pm. I hope to see you there for a celebration of good food, good music, and a good time all round.